To protect natural resources and ecosystems. To develop and improve management systems for sustainable use of the area. 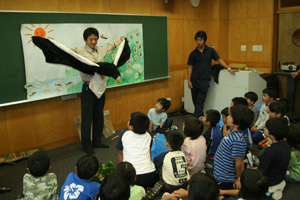 To offer outreaching programs to enhance visitor's experience and increase public awareness. To provide scientific knowledge for general public to enhance nature conservation in other area. 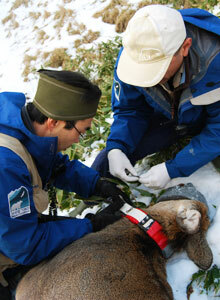 Various studies are being conducted to reinforce scientific background of wildlife management activities in Shiretoko. Most of the research projects are carried out in cooperation with governmental agencies and other academic institutions. 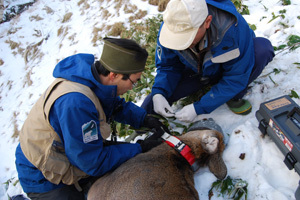 Our research targets vary from terrestrial mammals, birds, marine life to vegetations. 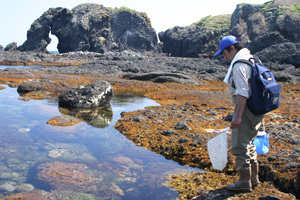 To reduce conflicts between wildlife and human in Shiretoko, wildlife management is indispensable. Our management team patrols and takes appropriate actions in the Park and the surrounding area, such as tourist spots, local communities and farmlands. 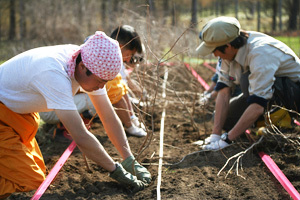 'The Shiretoko 100 m² Forest Trust', a forest restoration campaign was first organized in 1977 by Shari Town. It aimed to purchase abandoned farmlands within the park to prevent commercial development of the land. Today, most of the deforested land is under restoration process and Shiretoko Nature Foundation has been consigned to manage the project by Shari Town. Education is the most effective tool for long-term conservation of ecosystems. We offer variety of nature interpretation and environmental outreach programs for the park visitors and local residents to increase the awareness. 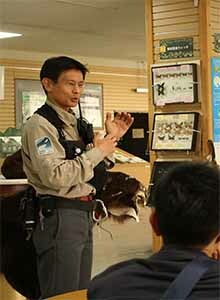 To reinforce human network in nature conservation, we also provide training programs for students and volunteers. 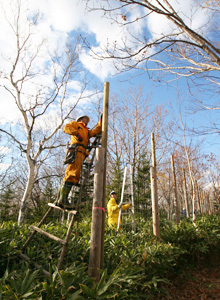 We maintain facilities in the Shiretoko National Park, including Shiretoko National Park Nature Center.